Share the post "Sage or Salvia – The Saving Herb: History And Uses"
Salvia is the largest genus of plants in the mint family, Lamiaceae, with nearly 1000 species of shrubs, herbaceous perennials, and annuals. The name Salvia derives from the Latin word Salveo, “to heal” or “to save” (more like, to salve, as in, apply a salve). The herb is commonly known as Sage. The genus is distributed throughout the Old World and the Americas, with three distinct regions of diversity: Central and South America (approx. 500 species); Central Asia and Mediterranean (250 species); Eastern Asia (90 species). Russian sage originated in Afghanistan and spread to Tibet, while the common culinary sages first grew in the Mediterranean and Balkan regions. This herb is one of the popular herbs known since ancient Roman times. It has a long history of medicinal and culinary use, and in modern times it is also considered an ornamental garden plant. The most famous member of the genus is Salvia officinalis, which is also called Garden Sage, Common Sage, Sage, Golden Sage, Kitchen Sage, True Sage, Culinary Sage, Dalmatian Sage, and Broadleaf Sage. The specific epithet officinalis refers to plants with a well-established medicinal value – the officina was the traditional storeroom of a monastery where herbs and medicines were stored. Garden Sage is a perennial, evergreen subshrub, with woody stems, and grayish pebble-like patterned, aromatic leaves with soft surface with fine hair-like filaments growing on either sides. During summer, it bears blue to purplish flowers in bunch that attract birds, bees and butterflies. Cultivated forms include purple sage and red sage. It is native to the Mediterranean region, though it has naturalized in many places throughout the world. Sage prefers warm climate and sandy, alkaline and dry soil. Sage can be found in habitats that provide enough sunlight such as meadows and fields. The second most commonly used species of sage is Salvia lavandulaefolia, which shares a similar composition with Salvia officinalis, but lavandulaefolia contains very little of the potentially toxic compound thujone. Growing sage is easy, indoors or out. The herb is easily propagated from summer cuttings, and some cultivars are produced from seeds. Common sage is grown in parts of Europe for distillation of a sage essential oil , though other species such as Salvia fruticosa may also be harvested and distilled with it. The Romans regarded sage quite highly and much sacrifice and ceremony was associated with its harvest. They believed it stimulated the brain and memory and used it to clean their teeth. 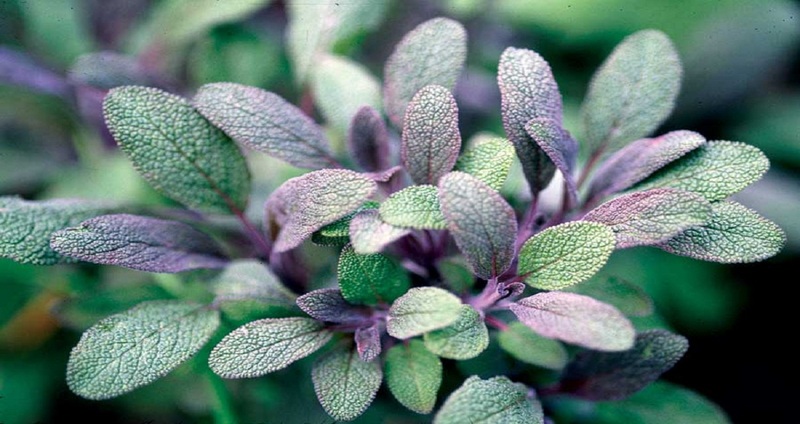 During the Middle Ages, sage was used to mask the taste of rancid meat. Perhaps its antibacterial action also protected people from dying of rancid meat. Sage has been used since ancient times for warding off evil, snakebites, increasing women’s fertility, in magical workings for immortality, longevity, wisdom, protection and the granting of wishes. – An old English custom states that eating Sage every day in May will grant immortality. – It was also said that a woman who ate sage cooked in wine would never be able to conceive and its fresh leaves were said to cure warts. – It is said that where sage grows well in the garden, the wife rules. – The sage will flourish or not depending on the success of the business of the household. – Sage is also believed to help alleviate sorrow of the death of a loved one. Arabian healers of the 10th century believed that eating sage would grant immortality, and Europeans four centuries later used it to ward off witches. In 17th century Chinese wouldn’t hesitate to trade three cases of tea leaves for one case of sage leaves. Sage is held sacred by many Native American Indians, because of it’s effective purifying energies. It heals by bringing the patient back into balance and cleanses the body and mind of negative spirits and impurities. It played an intricate part in ancient, as well as current ceremonies and was often included as an ingredient in a mixture called Kinnikinic, and then smoked in a pipe or used was used externally for smudging. Sage appears in many European cuisines, notably Italian, Balkan and Middle Eastern cookery. In Britain, it has for generations been listed as one of the essential herbs, along with parsley, rosemary and thyme. It has a savory, slightly peppery flavor. In British and American cooking, it is traditionally served as sage and onion stuffing, an accompaniment to roast turkey or chicken at Christmas or Thanksgiving Day. In Italian cuisine, it is an essential condiment for Saltimbocca and other dishes, favoured with fish. Despite the common use of traditional and available herbs in French cuisine, sage never found favour there. – Three-lobed sage (S. fruiticosa or S. triloba): large perennial with lobed leaves, grown in the Mediterranean region and commonly used to make sage-tea. – Pineapple sage (S. rutilans), which bears bright red flowers and a sweet fragrance: fresh leaves add flavor to desserts and drinks. – Clary sage (S. sclarea): strongly aromatic leaves generally used as throat gargle infusions and in perfumeries. – Azure sage (S. azurea): large plant with blue flowers, used in Mexico as an herbal panacea. – Salvia officianalis: the best for culinary use. Sage leaves, in general, are harvested just before flowering stage for culinary purposes. Healers have been using this herb for a number of ailments for thousands of years. Different varieties like purple or Russian have slightly different fragrances and flavors while providing different benefits for the body. Dioscorides, Pliny, and Galen all recommended sage as a diuretic, hemostatic, a local anesthetic for the skin, a styptic, emmenagogue, and tonic. It was used in the Middle Ages to treat fevers, liver disease and epilepsy. In England, the tea drunk as a healthful tonic. Sage was also believed to strengthen the memory. Sage contains flavonoids, phenolic acids, enzymes, and antioxidants for lowered heart disease risk, inflammation, and menopausal symptoms, better concentration, and relief from bronchial asthma while killing off free radicals in the cells. 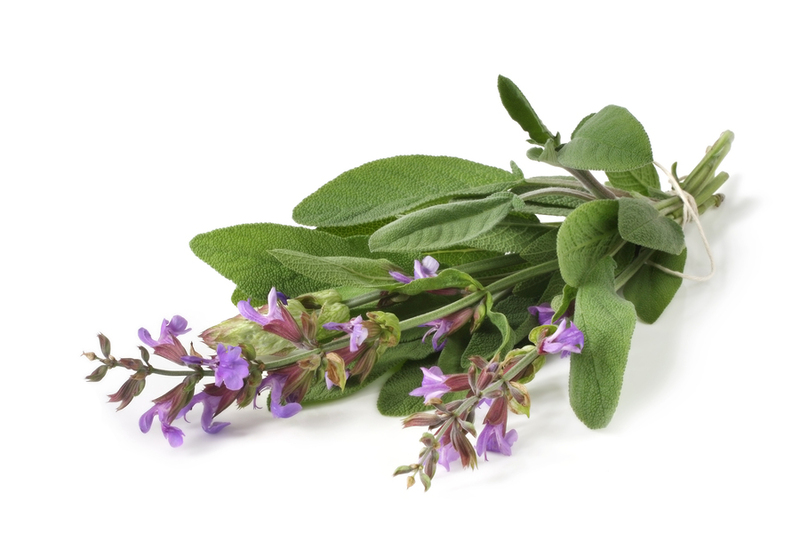 Safety profile: Sage herb, when used in large amounts can cause nervous irritation, convulsions and death. Hence its use is prohibited in known epileptic conditions. The herb should not be used in pregnancy as chemical compounds like thujone in it may cause uterine stimulation resulting in abortion. Disclaimer: Please note, all information on this website is for education purposes only. This website is not medical advice, so please check with your doctor before using plants for any health problems or advice, and especially if you are pregnant, using medications or have other health conditions. 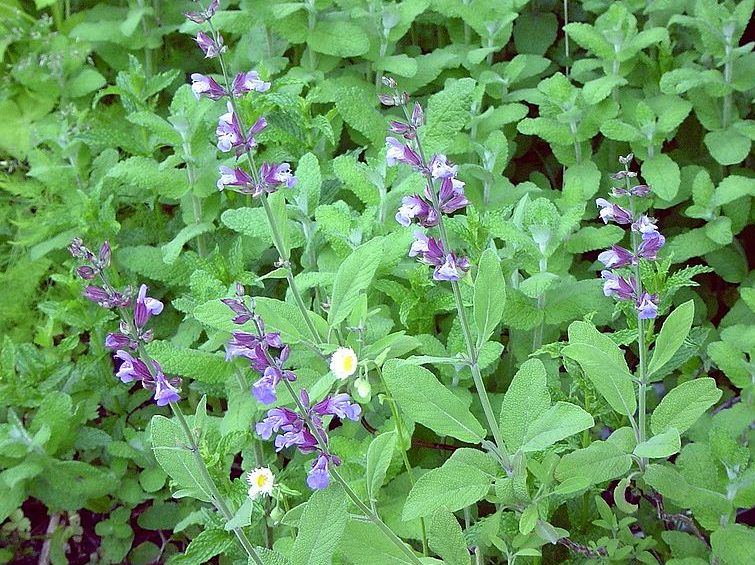 Do you grow Sage (Salvia) in your garden? What is your experience with this plant? Please share in the comments below! Do you sell Sage (Salvia) seeds or have plants for sale? You can place your advertisement here. Contact us now!